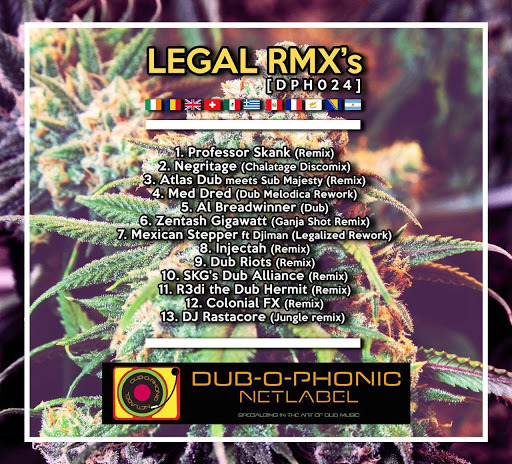 The original version of LEGAL has been released back in 2012 in Mexico by Mr Zebre and Rebel-I, receiving some mad feedback everywhere it was played, especially in Latin America. 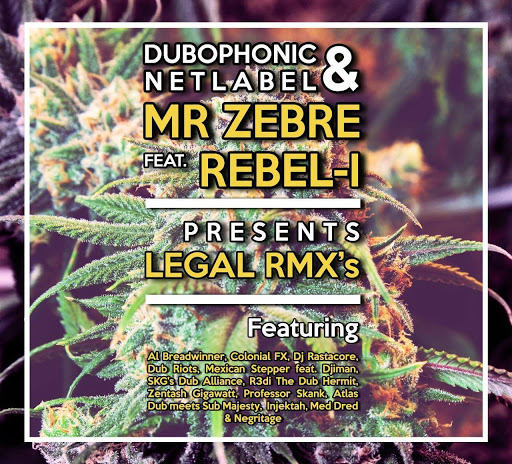 In the frame of the world wide ganja legalisation movement and the new approach that many countries adopt, we decided to re-release the tune for free download, raising awareness ….. but of course we added that extra Dubophonic touch. This is not the first time that Dubophonic released a remix album, but this is the first time that it was done in such an interactive way. This release is a result of a competition, which has been running for the last two months. Every artist had the opportunity to submit their own version of the song (remix, dub, rework). We received around 40 submissions and we would like to thank everybody for their contribution. Unfortunately we could not put all mixes on the release ... but you know that dub music has nothing to do with competition. It has to do with the message we spread and with the vibes, and that big feedback proved that dub music has no borders. It is an international movement, growing stronger day by day. Big up to each and every one for the great vibes and also for the hard times you gave us, till we came to the final decision. Every version we received was unique! The final selection was done by the Dubophonic crew, Mr Zebre, Rebel-I and a team of djs and selectors from various radio stations, who all casted their votes and compiled the list of the 13 tracks who made the final cut: Heavyweight names like Professor Skank (GR) and Al Breadwinner (UK), Dubophonic residents Mexican Stepper (MEX), Med Dred (CY) and Negritage (ARG), but also fresh rising artists like Zentash Gigawatt (BIH), Djiman (FR), Atlas Dub (FR), Sub Majesty (SUI), Injectah (RO), Dub Riots (GR), SKG’s Dub Alliance (GR), R3di the Dub Hermit (UK/CY), Colonial FX (IRL) and Dj Rastacore (ARG). Let the dub games begin!